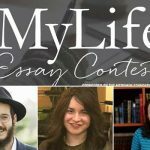 The winners of this year’s 5th annual MyLife: Chassidus Applied Essay Contest were announced live during the special Yud Alef Nissan Edition of the MyLife: Chassidus Applied Webcast. The 1st place winner of $10,000 was Ayelet Skinner, a 48-year-old Medical Esthetician from Southfield, MI. Ariel Nevei, 44, a Kolel member in Beitar Illit, Israel, won the 2nd place $3,600 prize. Aidel Cohen, 24, from Brooklyn, NY, and Mushka Silberberg, 22, from Lincolnwood, IL. each win the 3rd place $1,000 prize. And the special $500 student prize went to Arye Yonatan Chadad, 21, current student in Central Tomchei Temimim Yeshiva 770. Visit meaningfullife.com/contest to read the winning essays. Below is a list of the top ten essayists as well as the in-school winners from participating Mosdos who brought this amazing project into their schools, promoting, encouraging and even awarding students who submitted an essay. Ohel Chana High School, Los Angeles, CA. 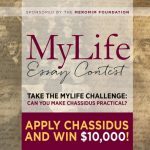 Hailing from every continent around the world, the contestants spanned a wide variety of ages and backgrounds, attesting to the broad appeal of the MyLife: Chassidus Applied Essay Contest. 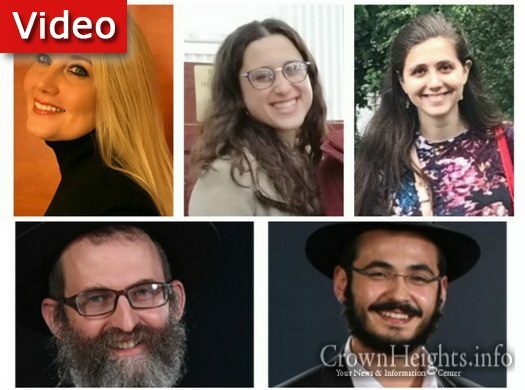 Submissions arrived from men and women of the entire social spectrum, including rabbis, laymen, professionals, shluchim, educators, professors, yeshiva bochurim, seminary graduates, and high school students. 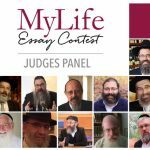 Rabbi Simon Jacobson announced the winners during this week’s Sunday night broadcast of the highly acclaimed MyLife: Chassidus Applied series, which spawned the Essay Contest five years ago. This week’s 257th episode of the popular series was a special Yud Alef Nissan edition honoring the Rebbe’s 117th birthday. “What better way to honor and celebrate the Rebbe’s birthday than to have hundreds of people and thousands of readers invested in learning and applying Chassidus to contemporary life?” said Rabbi Jacobson. The MyLife Essay Contest Team is proud to showcase the amazing talent that has emerged through this year’s contest! The essays will be published on the website www.meaningfullife.com, and will be reviewed on the weekly MyLife broadcast over the coming weeks and months.